Excellent rooms, community is decent, my roommates are a bit messy but nothing that is too overwhelming or bothersome. Overall, I believe I would very much enjoy staying here again until I find a permanent home. We're glad to have you, Dustin! Thank you for your review! Great experience with reasonable price for rent! The Vault staff offers several activities and food for us to enjoy! Also the newly addition of the bus shuttle is very helpful for the tenants who don’t feel like driving! Thanks, Gregory! We strive to provide superior student housing at an affordable price! Apartment comes fully furnished with great amenities. The gym and pool are fantastic. The staff is always friendly! Only 5 minute drive to campus. We're so glad to hear that you're enjoying the amenities! Thank you for the review! It's a decent place to live. The rent is a nice price and the amenities are great. The walk is not that far from campus and the shuttle is very useful. We're glad to hear you're enjoying your time here at The Vault, Jalin! Thanks, Kelvin! We are happy that you enjoy living at The Vault! Thank you for the review, Cydney! We're happy to have you as a resident! I actually haven’t lived here yet but from what I have seen,it looks very nice and homey. The front office workers or so helpful with anything and everything. Thank you for your kind words! We'd love to have you as a resident. Stop in to hear about our out-of-this-world specials! We're so glad you're enjoying the renovations, Xavier! Thank you for the review, Shyketta! Hope to see you at our pool party on March 30th! Loved the tour. Beautiful apartments, bus runs Monday through Thursday easy access to campus great parking great WiFi. Very friendly workers. Thank you for your review, Zakara! We also offer some pretty cool resident events. We hope you'll join us! We're so happy that you're happy, Kyle! Hope to see you at the pool party on the 30th of March! The community is quiet and clean. The apartments are a good size and well priced. The staff at the Vault is amazing, always helpful and welcoming! It’s a great affordable place to live. The staff is always willing to help if there’s ever any issues. It’s a perfect location for anyone that attend GSU, it literally only takes like 5 minutes to get to campus. Thank you for your review, Tatiyuna! We pride ourselves in being affordable housing for the students of Georgia Southern. Please let us know if there's ever anything we can do to help you better enjoy the community. When I came in to take a tour the staff was very welcoming and friendly. They rooms were very spacious and nice also. Also the gym in the clubhouse isn’t bad at all. We're pleased to hear you're happy with our staff and apartments. Make sure you check out our Fit Friday events in the gym! We're happy to hear you're enjoying living with us at The Vault! Make sure you check out our events page on the website! 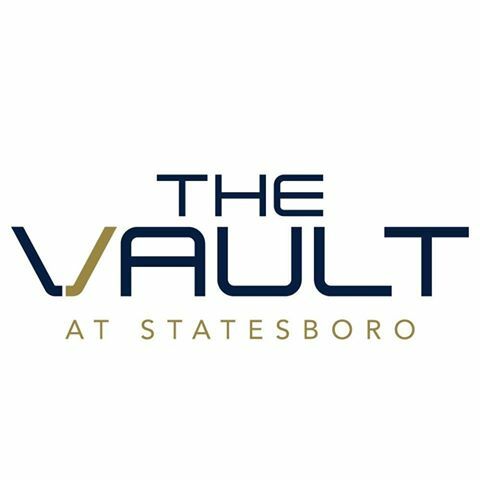 The Vault is a great place to stay at in the Statesboro area. The area is always kept up & very clean. Also, on top of that the customer service is incrediable. Thanks Britney! If we can ever help you better enjoy your home in any way, please let us know! Thank you for the review, Victoria! We're happy to hear you enjoy living at The Vault! The office staff is great and I’ve never had a problem go unsolved. Junelle is constantly there for my every need when I walk into the building. Christian, thank you so much for taking the time to review our staff. We value your kind words and look forward to having you live with us for years to come. We love The Bee Movie too, Travis, but we want to know your thoughts on the property! Please let us know what you like and how we can improve your experience when you get a chance! The apartments are very nice for the price and the furniture is great. The living room and kitchen are ample size as well and the porch is a great addition. Overall good. Alejandro, we are so happy you're enjoying your apartment! You should stop in the clubhouse sometime and play some pool with your roomies! The move from Kennedy to The Vault was amazing because my roommates and I pretty much upgraded and actually got what we been wanting ever since we started the fall semester here at Georgia Southern University. As far as the apartment complex goes everything is perfect and I couldn't ask for more!!!!!! Thank you for the review, Jalen! We are so happy we are able to have you all living with us! We hope you'll stay with us in the fall! I love how quick maintenence is here. The front desk always answers the phone, which is beneficial as well. The new clubhouse is nice, and the only issue is the noise, and the shuttle needs to come more frequently. the vault is a huge step up from Kennedy Hall where I was previously staying at. As soon as I moved in I knew that this is what I needed for my college life. I would consider this place to be one of the best apartments that Statesboro has to offer. We're so happy to have you living with us at The Vault, Albert! Jacolby, we're so thankful to have the opportunity to house you and your roomies this spring! Glad to hear you're enjoying the community!